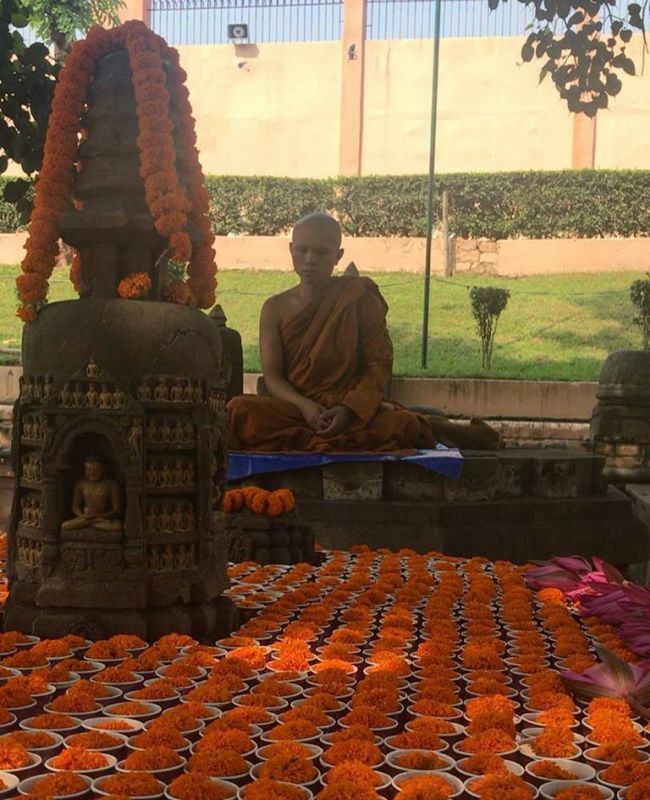 Mumbai: Did you know that leaves of the Mahabodhi tree inside the Mahabodhi temple in Bodh Gaya town of Bihar cost anywhere between Rs 500 to Rs 1,000? The reason why the fallen leaves are considered so precious is because Gautam Buddha is said to have attained enlightenment under that tree. 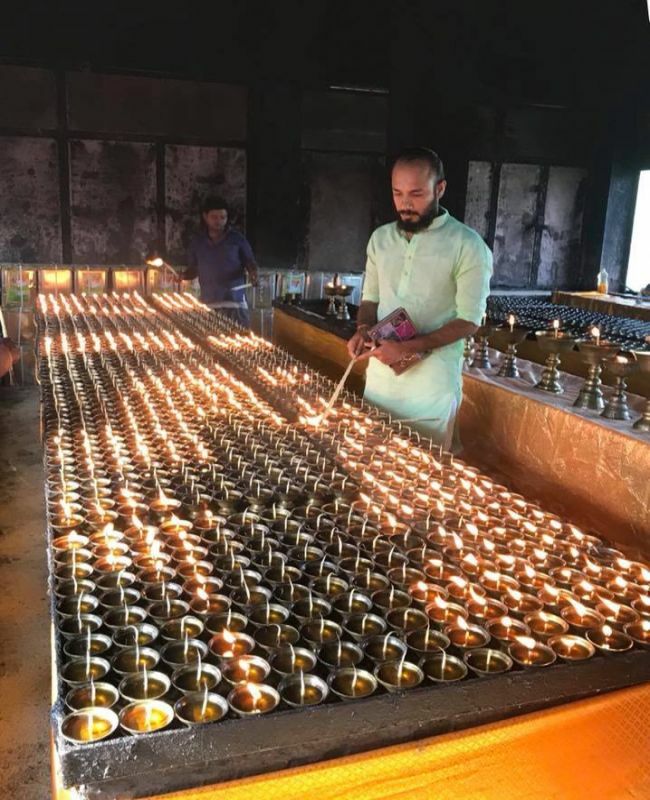 Realising the temple’s significance, 33-year-old Praveen Chauhan, embarked on a journey to pursue two goals – recycle waste and promote the use of Khadi in international market. 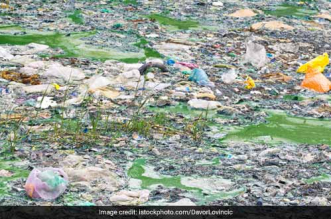 He decided to manage the temple’s waste by converting floral waste into natural dyes and increase Khadi sale by banking on people’s sentimental value towards the flowers and leaves of the temple. 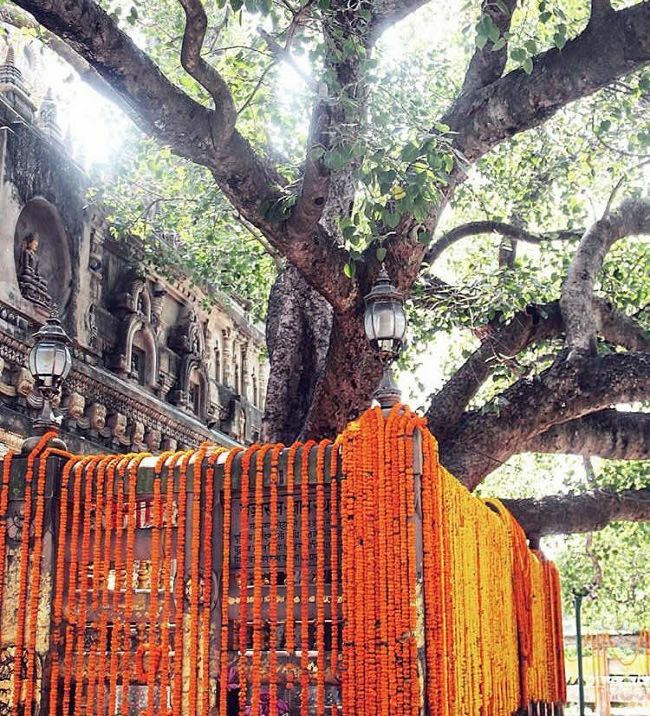 Every year, hundreds of thousands of pilgrims visit the Mahabodhi temple and sit under the tree waiting for a leaf to naturally fall on them. I thought if people are willing to sit under the tree for hours and pay for a leaf then a cloth infused with colours made from temple’s discarded flowers would certainly be valued. Being a part of the traditional textile industry, Praveen undertook professional trips all over India in the last five years and realised the abundance of talent and skills people possess. He also came to the conclusion that khadi, despite being an Indian fabric, is hardly purchased by people. Besides, in most of the places where khadi is manufactured, women are employed to weave it. It was in 2017 when he finally shortened his work trips and decided to set-up the khadi business in Bodh Gaya. From Jammu, Meghalaya, Kanyakumari to Varanasi, I collected the Khadi knowledge from everywhere to revive Khadi fashion here. I collaborated with Australia-based ‘Because of Nature’, a sustainable clothing brand and kickstarted the ‘Happy Hands Project’ under my social enterprise ‘MATR’ (Sanskrit word for Mother), he says. 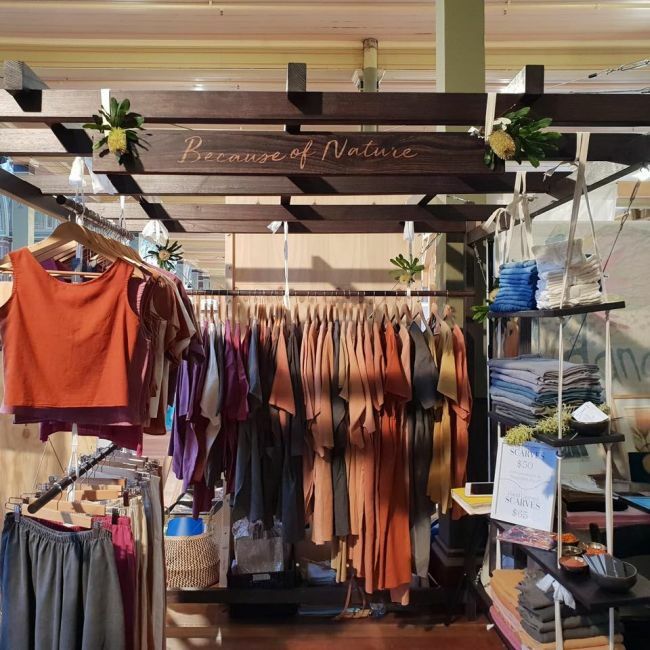 An alumnus of National Institute of Fashion Technology in Bengaluru, Praveen and Kathy, founder of ‘Because of Nature’ got a chance to showcase their khadi clothing line at the Lakme Fashion Week in Mumbai in 2017. 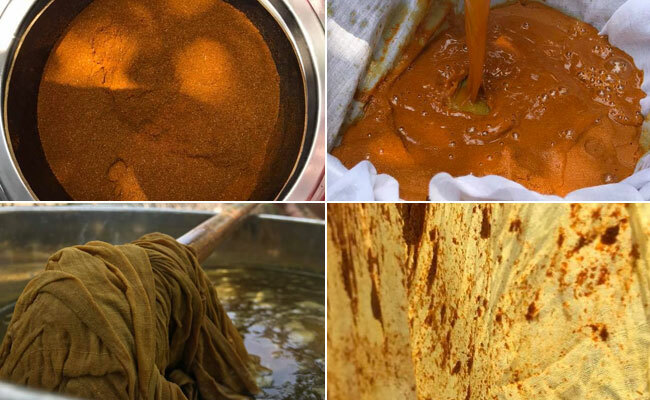 That was when Praveen first converted floral waste into natural dyes and soaked the khadi handloom in them. The duo received a positive response from people and all the clothes displayed at the fashion week were sold at high prices. As Praveen was travelling from Mumbai to Bodh Gaya post the fashion event, he decided to take up sustainable fashion at a large scale by involving underprivileged women of his own town. 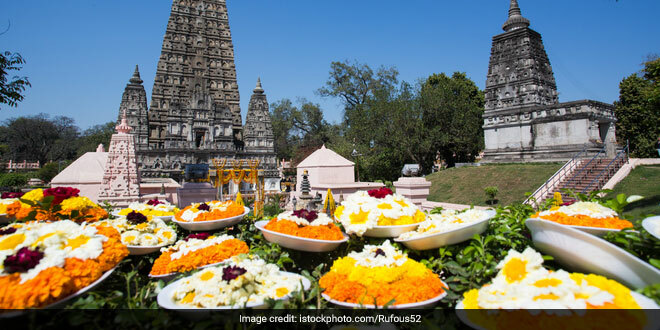 He first signed Memorandum of Understanding (MoU) with the Bodhgaya Temple Management Committee (BTMC) to reuse 200 kilos of temple’s flowers that are discarded every day. Involving women from nearby villages was our first hurdle as families are very conservative and do not let women work outside. In some cases, women who want to work are hesitant due to lack of education. We gathered women from villages and told them about our initiative. Once they were on board, we approached the temple authorities and they were more than happy to collaborate with us. 90 per cent of weavers in North East are women. I want to bring the same concept in Bihar, explains Praveen. A 10-day training workshop was conducted for 30 women last year. In the workshop they not only learnt but also gave their inputs on different shades of dyes that can be made from the flowers. Since 95 per cent of flowers offered at the temple are marigold that come in only three colours (orange, yellow and dark brown) we had to come with innovative ways to make our khadi clothes attractive. After days of experiments we came to the conclusion that the dye can be reused multiple times giving a lighter shade on every use, says Praveen. Five women from the organisation visit the temple every morning, collect the temple waste and bring it a small cluster 6 kilometres outside the town. 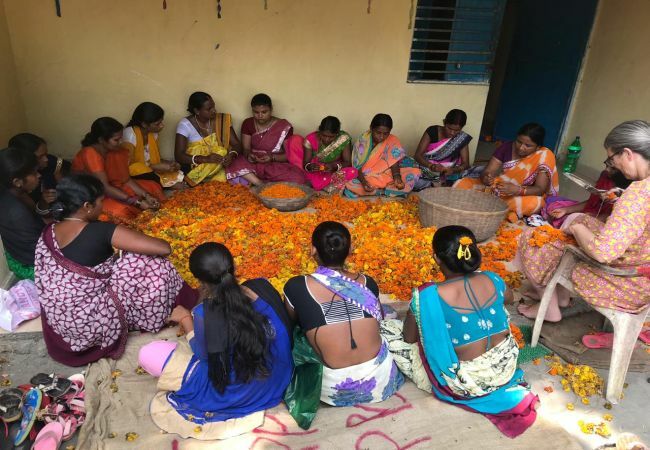 The marigold flowers are segregated colour-wise and kept for drying. Once dried, the flowers are ground by using hands and then kept for boiling. Mordanting (a method where a mordant or dye fixative is used to set dyes on fabrics) is the next step. Before drying the fabric, it is covered with amla juice and washing soda. Depending on the skill of the dyer hundreds of shades can be produced on Khadi from marigolds. From women’s clothes to robes used by the Monks, MATR manufactures several khadi garments and most of them are sold internationally as these are expensive. 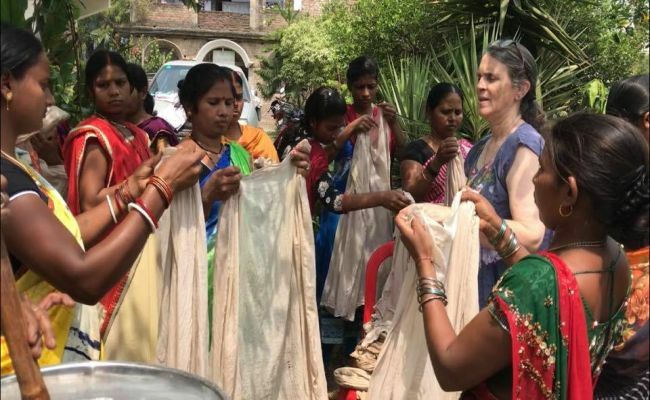 10 per cent of the money earned on Khadi sales go to the Bodhgaya Temple and the rest is divided among Praveen, Kathy and the women. Our garments are mostly exported to Australia and Japan where people are willing to spend on the authentic khadi clothes. The prices range is anywhere between 100 and 400 Australian dollars. People in India are not aware about khadi, which is ironic since Mahatma Gandhi was the pioneer behind khadi clothes. Besides, we also have to pay wages to the women, so our products are expensive, says Praveen. There are around 60-70 big temples and hundreds of small temples in the holy town of Bodh Gaya. Praveen hopes to reuse each of the temple’s floral waste one day. He has already started taking baby steps. By January 2019, the team will shift from the small cluster and move in a bigger place. Praveen will hire 200 more women from the villages and expand his enterprise. Currently, the fabric is purchased from retailers. From next year onwards, the team will spin and weave the fabric on their own. I wish to establish a similar model pan India, empower women and contribute to the environment through sustainable fashion, Praveen signs off.